Ear surgery, technically known as otoplasty, is a surgical procedure done to set prominent ears closer to the head or to reduce the size of large ears. Ear surgery can also replace ears lost due to injury or correct ear problems such as awkward folding, unusual smallness or absence of natural folds and curves. Surgery can also improve large or stretched earlobes or lobes with large creases and wrinkles. For the most part, the operation is performed on children between the ages of 4 and 14. Ears are almost fully grown by age 4, and the earlier the surgery, the less teasing and ridicule the child will have to endure. Ear surgery on adults is also possible, and there are generally no additional risks associated with ear surgery on an older patient. During your consultation, you will learn about the surgery, its limitations and risks, and discuss your needs and concerns. Dr. Wilson will evaluate your ears, including the skin and underlying cartilage and bone. You may also schedule an additional consultation to view computer imaging so that you can visualize the results of the otoplasty technique that Dr. Wilson has specifically designed for your surgery. There are several techniques utilized when performing ear reshaping surgery. 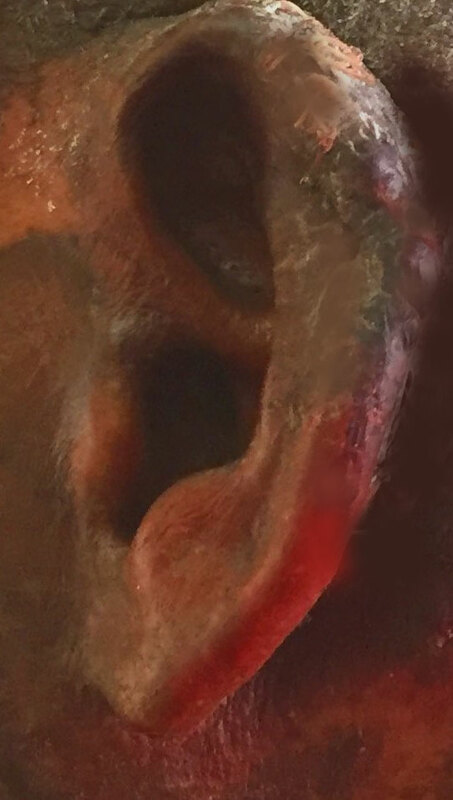 One of the more common techniques involves making a small incision in the back of the ear to expose the ear cartilage and then sculpting the cartilage to bend it back towards the head. Non-removable sutures are often used in this to shape and sculpt the new ear. Another technique involves making a similar incision behind the ear and removing skin and using sutures to fold the cartilage back on itself. This technique reshapes the ear without removing any cartilage. Fortunately, significant complications from aesthetic ear surgery are infrequent. Some of the potential complications include hematoma, changes in sensation, scarring, and need for revisions. You can help minimize certain risks by following the advice and instructions of your plastic surgeon, both before and after your ear surgery. 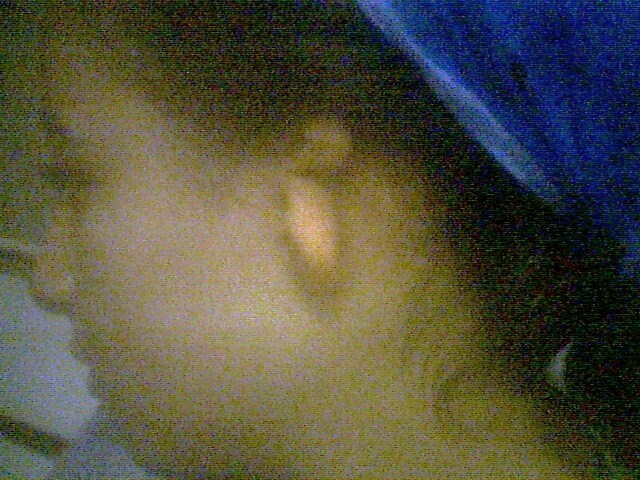 Ear Repositioning: This 8 year old child had prominent ears, which were repositioned by surgery. Ear Repositioning: This 38 year old man had prominent ears and cupping, causing him discomfort and self-consciousness. They were repositioned by surgery under local anesthesia. 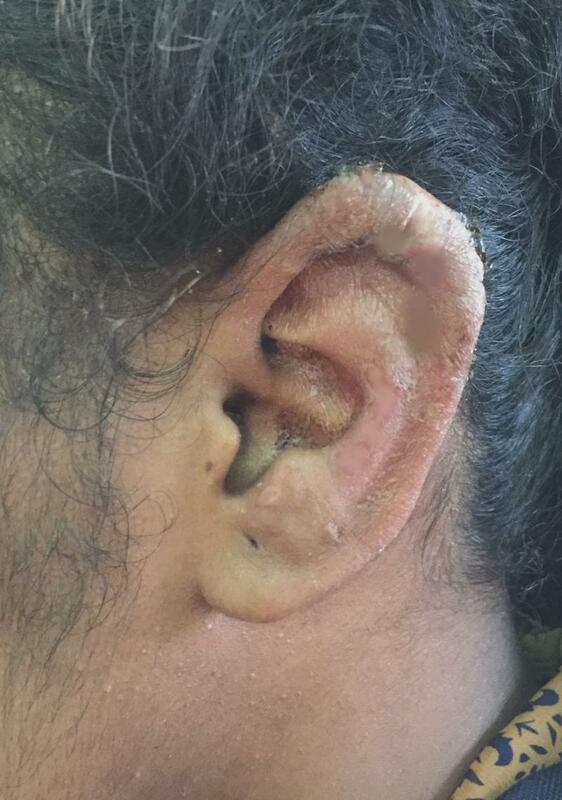 Ear Reconstruction after Keloid Removal: This 22 year old woman had a huge keloid in the top of her ear after attempted piercing. 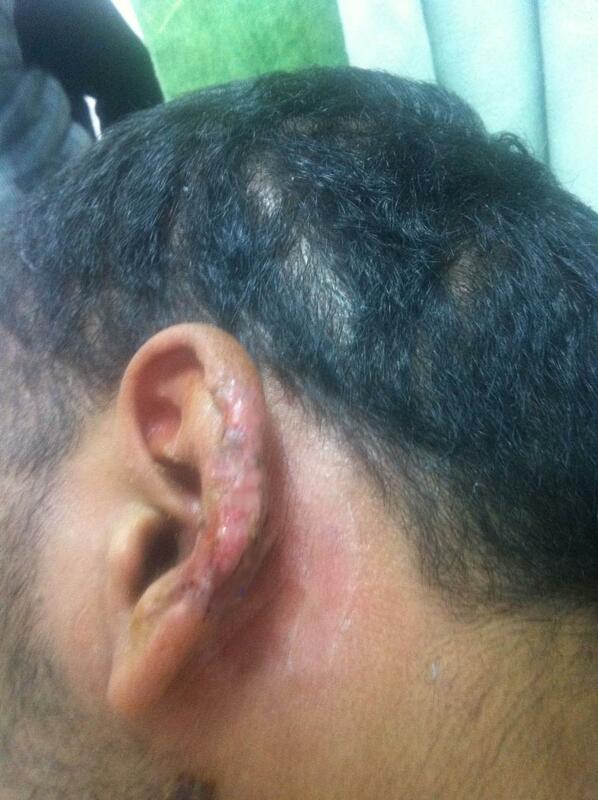 The keloid was removed and ear was reconstructed, with auricle contour refashioned. Keloid was simultaneously treated by new technique described by Dr Wilson using Botulinum Toxin and 5-FU. Ear Reconstruction: This 16 year old girl had a congenital anomaly known as microtia, where most of the ear was absent and only rudimentary srtuctures available. Reconstruction was performed in several stages until a near normal ear was obtained. Ear Repositioning: Prominent ears in an 18 year old man which were corrected by surgery. Ear Reconstruction: this 45 year old man lost part of his ear in an accident and was replaced by surgery.